The Interfaith Mission Service is a member-owned cooperative that builds bridges to heal and grow our Beloved Community. 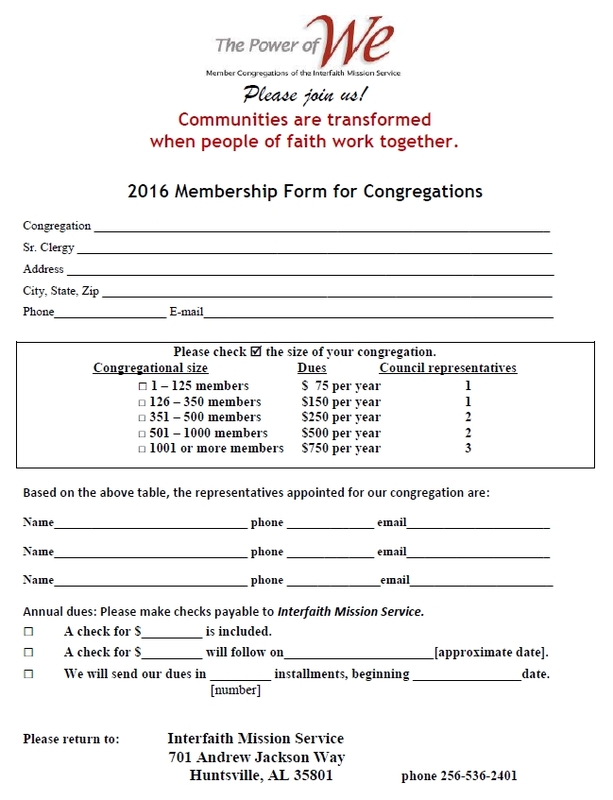 When you join our interfaith cooperative, you don’t have to check your faith at the door. In fact, most people find that their own faith gets stronger as they work cooperatively with their neighbors of other faiths. Shared values among our faiths enable us to work together for the greater good. As we value and honor differences, we are able to find common ground and stand on it together. 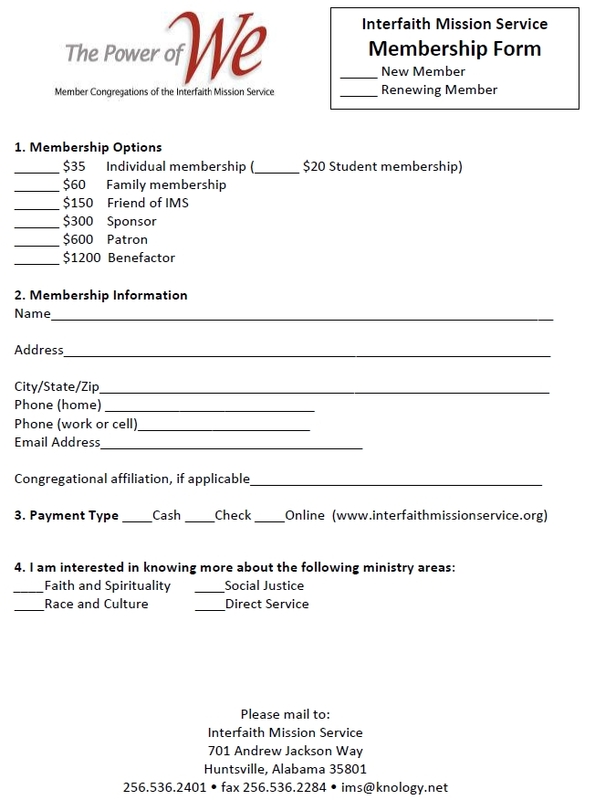 IMS’s ministry areas give congregations a direct, easy, and structured way to meet their outreach goals – and stretch their outreach dollars. Opportunities to alleviate suffering ― a common goal of many faith traditions. Foodline pantry ministry coordinates among 17 congregations that have food pantries to provide emergency food to families in immediate need, sharing our community’s bounty with the hungry. In the past eight years, Foodline has served more than 93,000 people. The Day of Service and Unity each September offers teams from congregations a chance to work side-by-side on a variety of projects throughout the City. The day celebrates the unity to be found in working together to serve others. Opportunities to grow in wisdom and respect for other faith traditions. Interfaith Dialogue – Using an IMS-designed curriculum, experts trained by IMS hold public forums or visit congregations to present information on the world’s major faith traditions. Hometown Pilgrimage – These free, organized visits to several Huntsville congregations each year give adults and youth a chance to learn about religious beliefs and to witness or experience each faith’s format of worship. Opportunities to promote racial harmony ― to build Beloved Community. Racial Harmony Coalition – In monthly meetings, this group works with others interested in racial reconciliation to establish goals and timelines for making Huntsville a place of tolerance, racial harmony, care for the vulnerable, and justice for all. Opportunities to promote social justice. JustFaith©, a 30-week program, instills a passion for justice and prepares us for the work of social justice. Originated by the Roman Catholic Church, JustFaith also has an ecumenical version. Social Justice Topic Study Guides enable small groups to engage a topic in a deliberative method, rather than debate or advocacy. Study Guides focus on topics like Constitutional Reform, Tax Reform, Restorative Justice, Health Care, Predatory Lending, Death Penalty, and Creation Care. Public Policy Workshops explore the connection between faith and public policies – connections that can help alleviate poverty or worsen it. Working together – combining our energies, ideas, and compassion – we can accomplish more than any one of us can do alone.